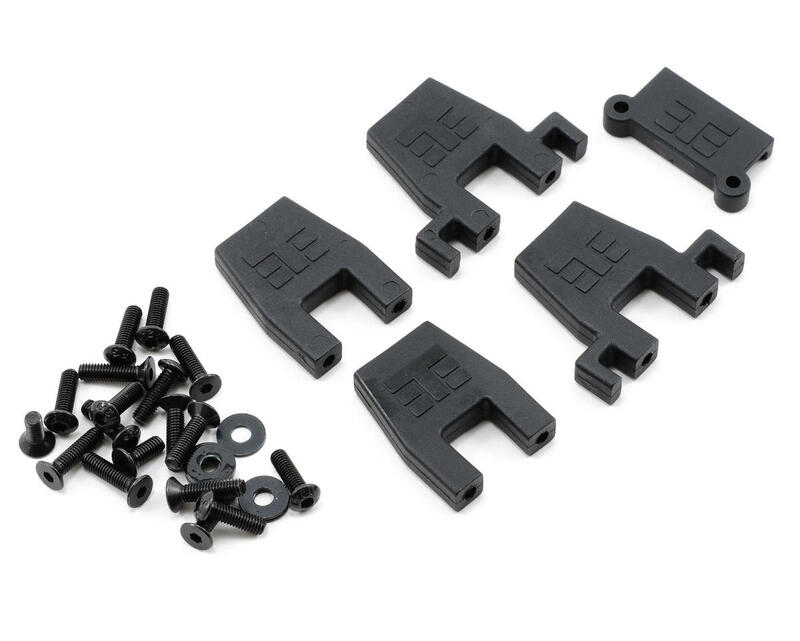 This is a Tekno R/C V3/V4 Servo Mount Set. 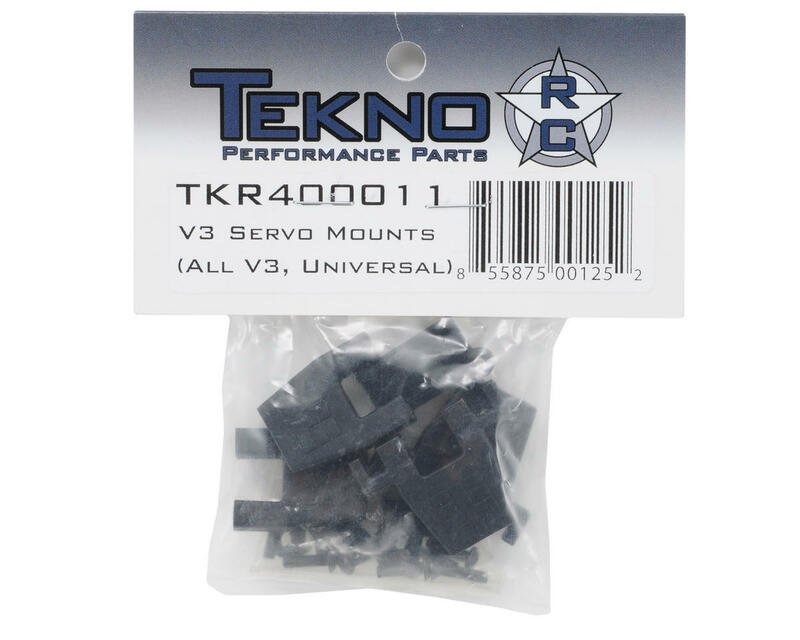 These were developed for the Tekno RC V3 brushless conversions, but can be used in other setups as well. Innovative smart guides keep your wires neat and out of harm’s way. The smaller piece is used underneath the center differential to safely guide the steering servo cable across the chassis if needed. The guides can be clipped off if they aren’t needed.